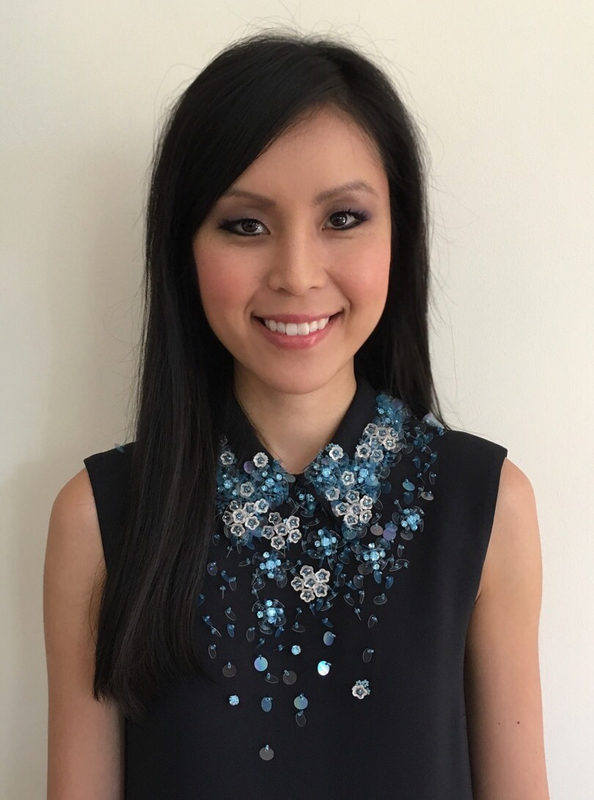 The child of refugees from Cambodia and Vietnam, Melbourne Law School alumna Jenny Taing (BA/LLB 2006) was the first person in her family to receive a tertiary education. Following graduation, she joined the Australian Securities and Investments Commission’s graduate program, and is now a senior lawyer at ASIC. She has worked in both the not-for-profit sector and in non-executive director capacities. Her many achievements includes being appointed a Commissioner of the Victorian Multicultural Commission at age 27, and being recognised as one of Australia's young leaders, appearing on Certified Practising Accountants (CPA) Australia's Top 40 Young Business Leaders List for 2013. Ms Taing has also recently been awarded the Hugh DT Williamson Scholarship to undertake the Harvard Business School High Potentials Leadership Program. Here, she reflects on what drives her in her career and what she hopes to achieve in the program. What is your professional experience and is it the path you envisioned when undertaking legal studies? I graduated from the University of Melbourne with a Bachelor of Arts/Bachelors of Laws (Honours) and joined ASIC’s graduate program in January 2007. At ASIC, I practise in financial services and superannuation law. I’ve been there for over nine years and have held a number of interesting roles including as a research adviser to former Deputy Chair and Commissioner Jeremy Cooper, an in-house lawyer in the Chief Legal Office, and currently I’m a senior lawyer in the funds management and superannuation team. My journey into corporate governance and the boardroom started at The Royal Victorian Eye & Ear Hospital. After my Mum, a Vietnamese refugee was a patient at the hospital, I became interested in healthcare and joined as a consumer representative on the Community Advisory Committee - a board subcommittee that provides advice to the board on consumer issues. I then subsequently joined the hospital's Human Research and Ethics committee as a lawyer and Animal Research & Ethics Committee as a layperson. Four years later, in 2012, I was appointed by the Victorian Minister for Health to the board of The Royal Victorian Eye & Ear Hospital. I was 29 years old and one of the youngest to ever be appointed to a health service board. I’ve further built on my passion for healthcare governance. In 2014, at the age of 30, I was appointed by the Australian Health Workforce Ministerial Councilto the corporate board of The Australian Health practitioner Regulation Agency (AHPRA). In 2010, at the age of 27, I was appointed a Commissioner of the Victorian Multicultural Commission. I provided advice to the Premier on multicultural policy and acted as a conduit between government and the community. During my time as a Commissioner, I put the issue of culturally appropriate aged care on the public agenda. I have a passion for education and am involved with the University of Melbourne. I am the Vice- President of the Alumni Council and chair the Alumni Giving Working Group. I am also a member of the advisory board of the Centre for Advancing Journalism. Why did you want to study law? I was drawn to the law because it is a profession that upholds and protects rights and interests, particularly of those that are most vulnerable in our society. It's also a degree that provides you with the skills to articulate issues, contribute to public debate and make a difference. Being a member of the legal profession is empowering, gives you standing in the community and a platform to speak and be heard. What inspires you or drives you in your work? Leadership and advocacy has always been a feature of my life. As the eldest in a refugee family and with parents who had limited English skills, I took on a lot of responsibility growing up. I recall when I was nine-years-old, I had to review the contract of sale and act as interpreter for the purchase of the family home. I think we all have a duty and a responsibility as guardians of the law, to make a difference and contribute to the community. Being a regulator is an inherently challenging role and requires a fine balance of a range of stakeholder interests and working with the legal framework and regulatory tools to achieve good outcomes for business and the community. I joined ASIC just before the Global Financial Crisis; it’s been a fascinating time to be involved in regulation. I've also really enjoyed being involved with the introduction of key reforms in superannuation as well as working with new and emerging innovative products and shaping how these are to be regulated in Australia. What does winning Hugh DT Williamson Scholarship mean for you, and what do you hope to get from undertaking the Harvard Business School High Potentials Leadership Program? The course will help me develop my leadership skills and to take the next step in my career and development. Harvard is well known for their ‘case method’ of teaching. Also, the teachers in the room have had actual firsthand experience with those case studies. The course has a global curriculum and teaches best practice leadership from the world's top businesses. The course is one where people fly in from all around the world from the world’s top businesses to attend. Having such a diverse group of accomplished people in the room and learning with them and sharing insights would be a very special and invaluable experience. What is the best piece of professional advice you have received or what advice would you give young lawyers and law students? I highly recommend having pursuits outside of the law. Through my boards and leadership roles, I've been able to apply my legal skills in a different context and develop new skills in strategy, finance and risk. Most importantly, it gives me a lot of meaning in life and has allowed me to meet and work with some really amazing, passionate and talented people. I highly encourage having mentors. Mentor-mentee relationships are very special. I wouldn't be where I am today without my mentors who have provided me with invaluable wisdom, advice and support.